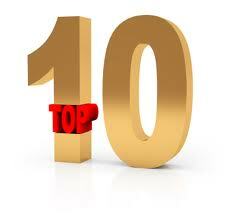 Top 10 Ways to Make Your Restaurant More Profitable. 2. Be Where Your Customers Are…Online: With sites like Yelp and Foursquare, customers can share their restaurant reviews and experiences instantly…while they are dining in your restaurant! It is more important than ever for business owners to engage with their customers online. If you own a restaurant, start a Yelp business page, a Foursquare page, Facebook and Twitter. Those are the first four that a restaurant owner can easily start today. Create a plan for these sites as to how you will engage your customers over the next year including coupons, discounts and photos of your facility and menu items. In addition, respond to reviews. Whether positive or negative, let your customers know you are listening. 3. Treat Your Employees with Respect: While the customer is most important, your employees should be cared for as well. There tends to be very high turnover for employees in the hospitality industry. Focusing on employee retention can lead to higher efficiency and profits for the business. Provide training, tips, incentives, motivation and encouragement and in return, your employees will feel more confident and appreciated and do a better job for you. 4. Menus Can Lead Customers to Spend More: Yes, certain menus can actually make customers spend more money at your restaurant. Menu designers have actually discovered ways to get customers to order pricier items. These techniques include; a box drawn around certain items, offering different portion sizes as the smaller portion will look like a great deal, rounding prices to the nearest dollar, and not aligning the prices to the right of the page or in ascending or descending order allowing customers to do direct price comparisons. In addition, create beautiful menu covers with an appropriate design that complements the overall theme and look of your restaurant. It’s all about the details! 5. Upon Request Only: It used to be a standard that customers were given bread and water as soon as they sat down. But, this is no longer standard. Why? If a customer walks into a restaurant hungry and is instantly given bread and water, they become satisfied before they’ve even had a chance to go through the menu. Allow the customer to view the menu and order a drink and appetizer versus filling up on free bread and water. Only provide these items if the customer requests them. After all, they didn’t come to your restaurant for the bread and water; they came for what is on the menu! 6. The Experience Starts at the Front Door: A restaurant experience for a customer starts far before he or she sits down at the table. A customer should not have to wait more than a few seconds to be greeted. 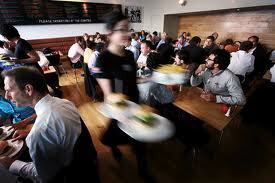 If a restaurant is busy, there should be multiple staff to welcome customers walking in. All the greeter has to do is provide the customer assurance that they will be taken care of shortly. Giving the customer an estimated time as to how long they will be waiting will decrease anxiety for a customer and perhaps even lead them to go grab a drink at the bar while they wait; more money in the restaurant owner’s pocket! Other tips include using an open hand to lead customers to their table. Never point! 7. A Complete Dining Experience: Once the customer has sat down at the table, the experience continues until they walk back out the front door. Various communication points should occur throughout the evening. If a restaurant is extremely busy, ensure that someone stops by to greet and check in on the table. A manager is ideal if the servers and kitchen are backed up. The entire staff needs to step up to make sure every customer is being taken care of. Also, extras are always appreciated and can lead to a larger bill and tip if the customer feels they are receiving something free. Items can include a small chef’s special appetizer; just a tiny morsel that the customer receives to get their mouth watering. 8. The Most Expensive Menu Items Might Not be the Most Profitable: Breaking down the profit on each item on your menu is important to see which items are your biggest moneymakers. Be sure to convey this information to your staff so that they aren’t pushing the most expensive items, but the most profitable. You can also save money- cafe menu covers provide a truly low cost solution for tight budgets. 9. Make Friends with the Neighbors: Getting to know your neighbors is a great way to build both a good reputation within the community and more opportunity for profit as well. Have you ever been to a restaurant that was so busy and over-booked that they recommended the restaurant next door? That restaurant next door could be you! In addition, there might be a time when it could prove beneficial to be allies such as if a legal issue arises. Gaining support from your neighbors can help a lot. It’s the neighborly thing to do! 10. Consider a Restaurant Consultant: Sometimes a third party opinion can prove to be priceless, especially when it’s a professional opinion. When a business owner is caught up in the emotional aspect of owning a business, important operational items can slip by, costing a lot of money over time. 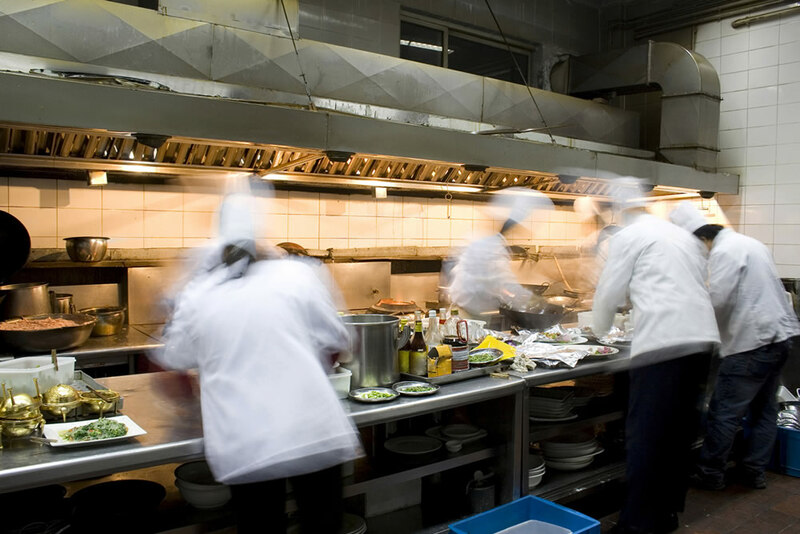 Items and processes that restaurant consultants might look at include; eliminating waste by evaluating what is being thrown away each day, ensuring you are buying the best products at the best value from vendors, diner food order trends, and other small, easily overlooked items.